Known as one of four pillars in Chinese Medicine, acupuncture works on the imaginary lines of the body known as Meridians. 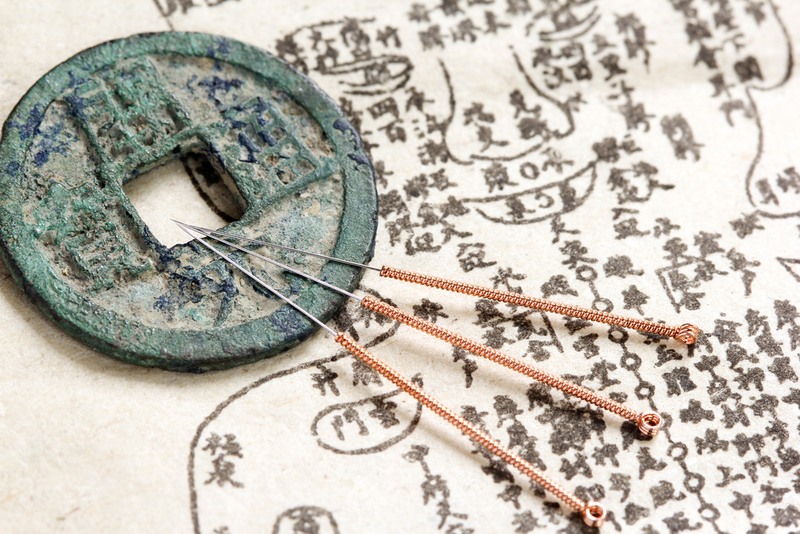 An inserted Acupuncture needle frees blockages and assists the flow of Qi and blood throughout the body. Qi is your life force, your energy. Activated energy acts as a catalyst for the body to begin self-healing. An energy blockage can present itself as a physical or emotional ailment which patients will often refer to as pain, disease or illness. For some, indication of a blockage may present itself as the body’s subtle warning signs, for example: anxiety, panic attacks, mental fog, migraines, reproductive issues, anger/frustration, feeling stuck or hopeless and having difficulty articulating thoughts. Acupuncture heals many ailments within the body some including musculoskeletal injuries, infertility, rheumatoid arthritis, menstruation imbalances and mental or emotional imbalances. Anata Healing also offers Community Acupuncture, please subscribe to our newsletter to receive updates.